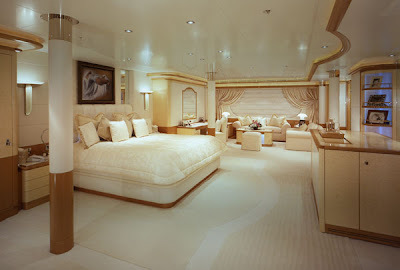 Luxury Motor Yacht Princess Mariana, was built in 2003 in the Danyard Aalborg in Denmark and then refurbished in 2006 for charters. 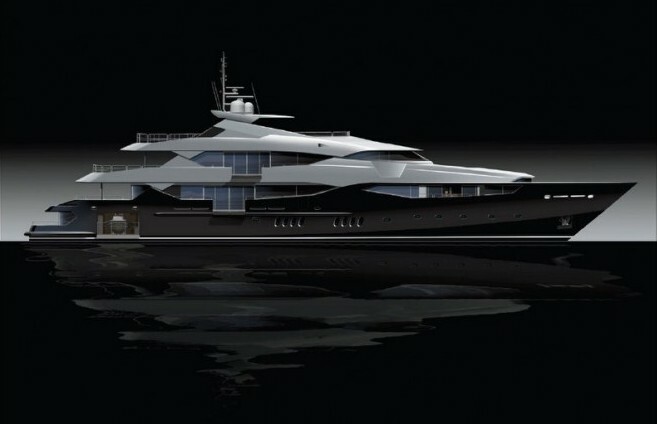 She is a 258 Oeino which has six decks. 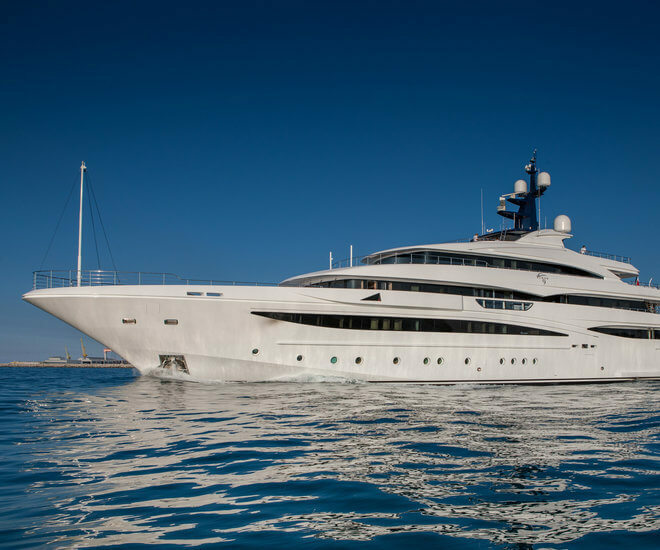 This modern and stylish yacht is full of modern innovative features, has an impressive six decks, and can accommodate 12 permanent guests on board. 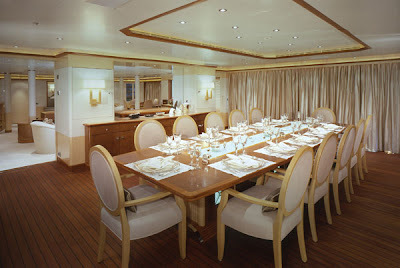 One of the most impressive features on board Princess Mariana is the Beach Club. 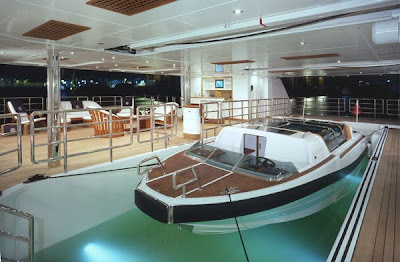 This is a dry dock for the custom built tender which can be â€œfloodedâ€ when the tender is outside and forms a 12 metre swimming pool with underwater lighting and steps. 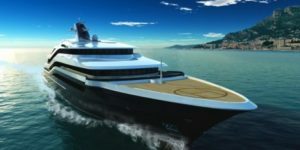 There is also a helipad on board â€“ and when the helicopter has left, it becomes a golf driving range with a massive screen showing a host of well-known courses. 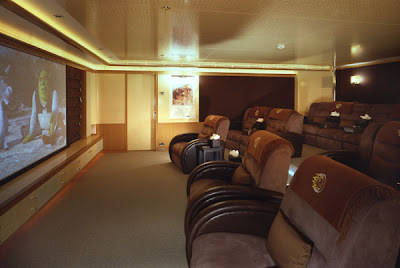 There is also a cinema on the main deck with seating for 13 guests ! 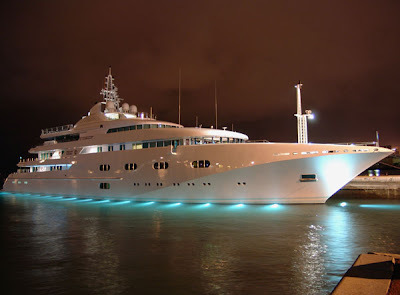 It will cost you $606,500 a week ($1 per second !!) 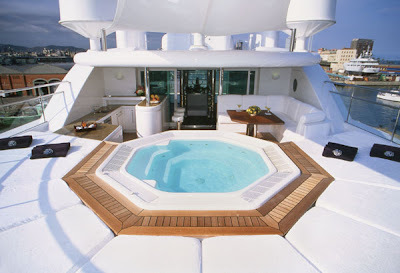 to rent this megayacht that CNNMoney has called the most desirable charter !